The town of Rogaška Slatina in Slovenia is a by-border touristic and business center renowned for its old health resort, dating from the Austro-Hungarian era, and also for the world famous fabric of glass. 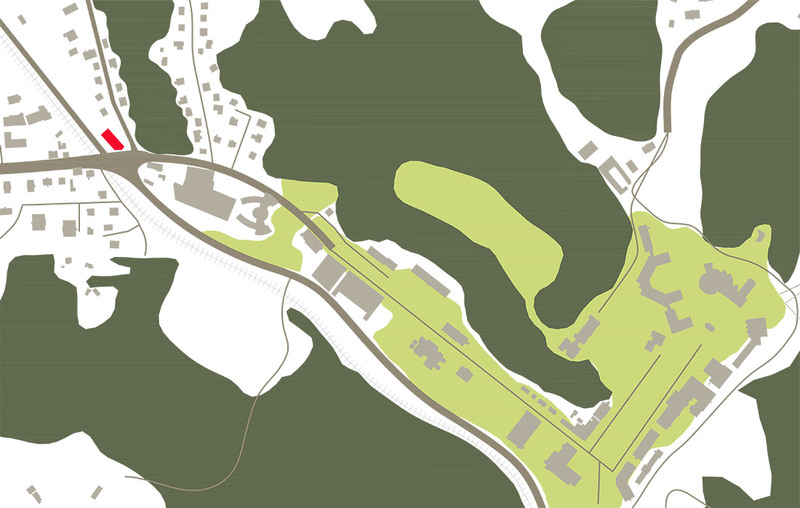 The larger town center comprises extensive greenery at the Rogaška health-resort park which is following two axes of the park promenade. 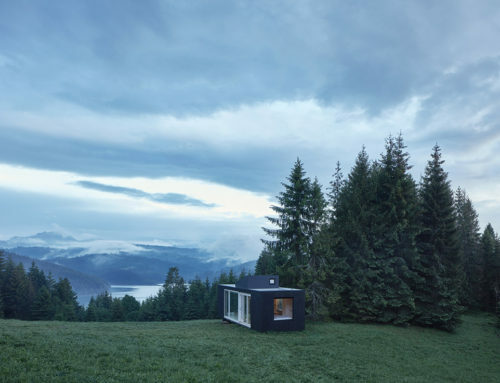 Towns` periphery is mostly rural. 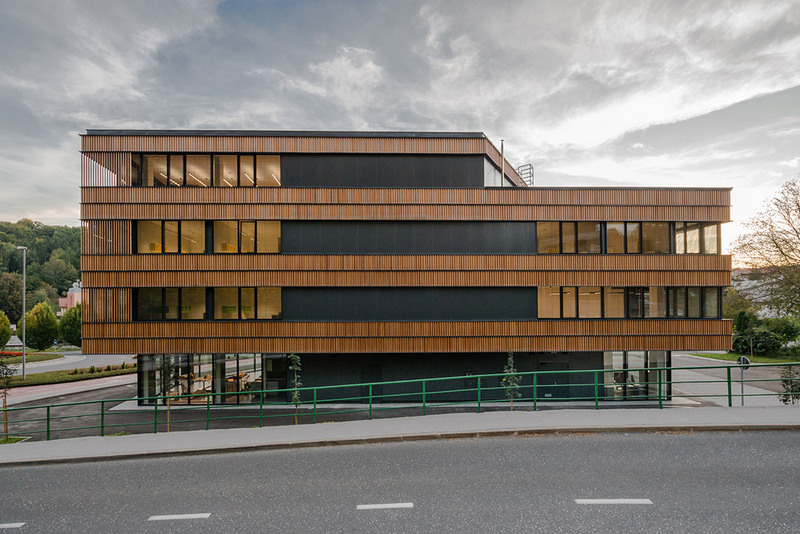 The Vrelec Business Center was designed by architects Andrej Strehovec (Strehovec arhitekt) and Robert Potokar (Ravnikar Potokar arhitekturni biro) for the client Municipality of Rogaška Slatina which is by this project also developing an entrepreneurial program for the “business incubator” for younger and smaller businesses. The building meets the investors` demand for a contemporary building with smaller two-person offices, common space and a cafe-lounge. 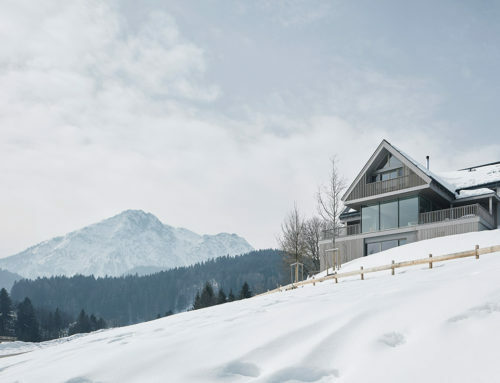 Developing the concept, architects incorporated a genius-loci component, considering the conditions of the plot and surroundings, which results in a non-typically shaped volume of the building and the final wood-facade image that draws its principles also from the architectural theory of critical regionalism and beyond. 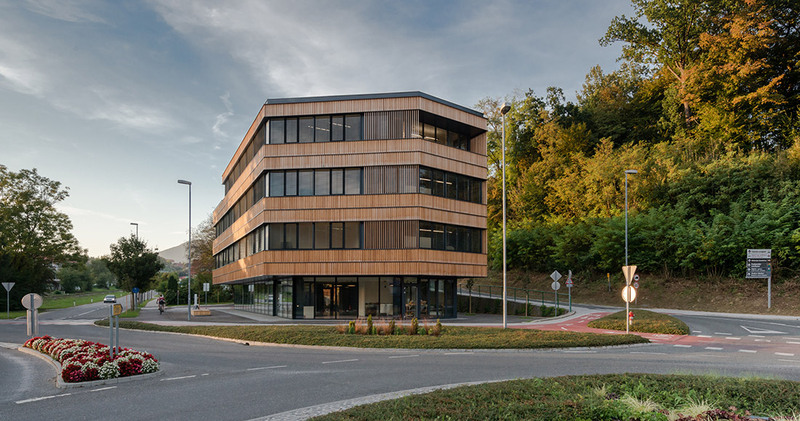 The original idea of the Vrelec Business Center is in the orientation and the sightseeing point towards the eastern part of the health-park promenade of Rogaška. 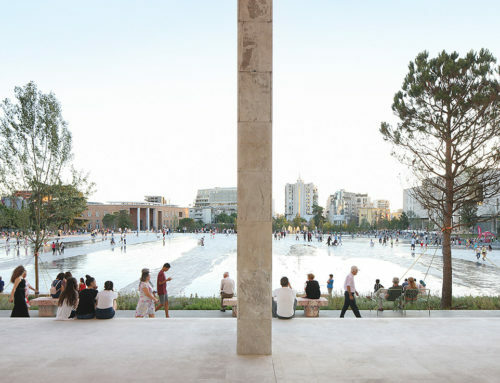 The new facility thus establishes an urbanistic connection to the axis of the city promenade, and a height emphasis at the main road intersection and includes sightseeing point from the 3rd floor lodge. The building has four stories (ground floor and 3 stories) but the northern part, towards the near-by house is one story lower due to solarization. 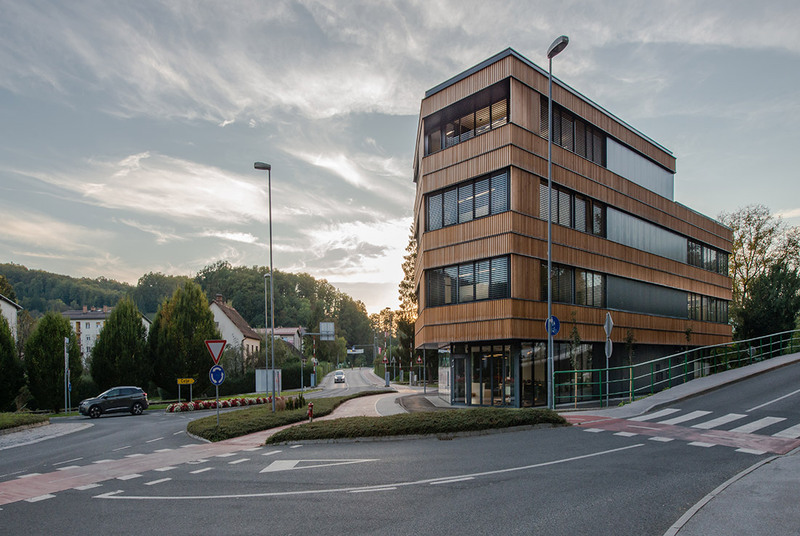 The placement of the building reacts to the plot`s irregular shape given conditions at the roundabout “Celjska road” and represents an entry point towards the center of Rogaška Slatina. 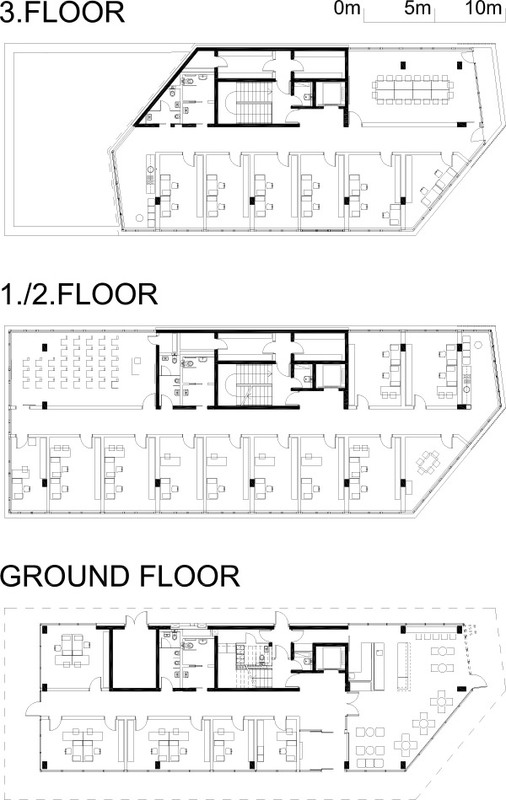 The building volume is set parallel to the main street and the glazed ground floor is moved under the storey floor and thus extends the street space, and offers a shelter to visitors. 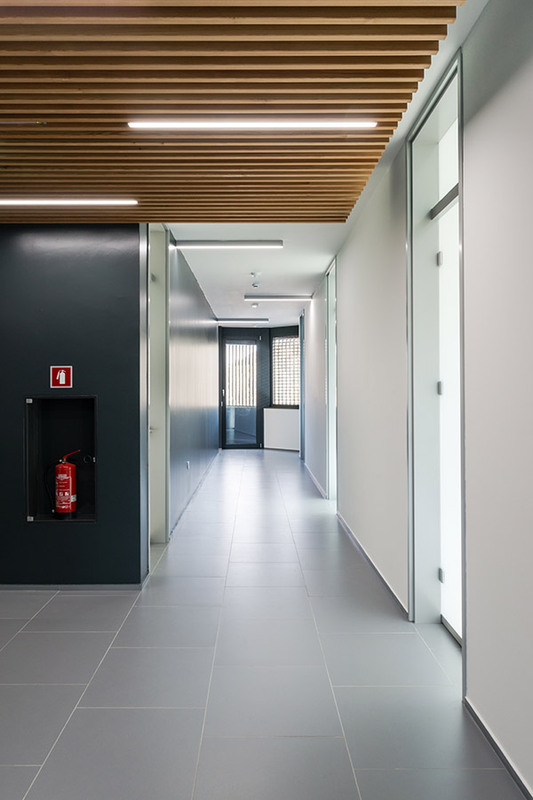 The layout, construction, placement of window openings and communication cores are organized in such a way that they allow a flexible design of office space. There are 35 offices, tea-kitchens, a meeting room, lecture room, archives/warehouses and a cafeteria on the ground floor. The viewing loggia on the 3rd floor is accessible by the common hallway. The main entrance is from the platform, along with the main longitudinal facade, from where it enters the hall and leads into the elevator and stairway that connects all floors. The outer arrangement is also carefully designed and comprises a small parking lot with a garbage shed, climbing plants that will greenen the supporting walls, small trees in the ground-sinks and a large custom-made wooden public bench at the main entrance. 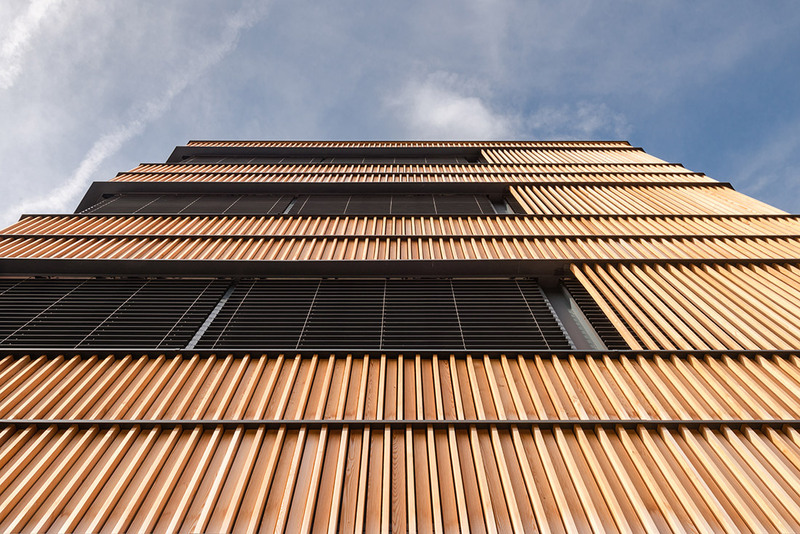 The façade consists of glazing and bands of wooden lamellas made of raw Siberian larch. The arrangement of the vertical wooden lamellas is designed to play with the depth, width, and shiftment of the raster, and forms rhythmic bands. 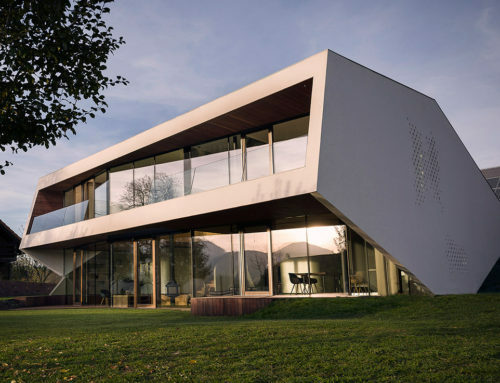 This rhythm of the facade responds to the site surrounded by the roads and the immediate vicinity of the railway, and at the same time, it relates to the surrounding countryside and vernacular architecture.